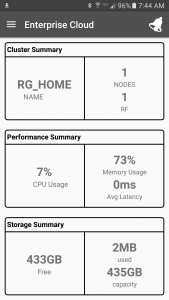 I’ve finally released my Nutanix Android App on the Google Play app market. You’ll find it here. 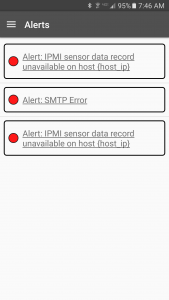 You may have read about this project on the Nutanix blog here: https://next.nutanix.com/t5/Nutanix-Connect-Blog/Using-the-REST-API-to-Power-an-Android-App/ba-p/14072. This app needs to be able to communicate with Prism via port 9440. If you are on the same local network as your cluster, that should be fine. If you are out and about in the real world, you may have to poke a hole in your firewall to let port 9440 through, or maybe you’ll want to VPN in. Your VPN has a snazzy mobile app by now, right? Check out the FAQ here, for answers to more common questions. Have something you think should be on the FAQ? Send me a note via the contact form or comment below. In the Username field: Enter a username from your Prism environment. In the Password field: Enter the password for the username you entered above. In the Hostname field: Enter the IP address or Hostname of your cluster. You do not need to include the port number. 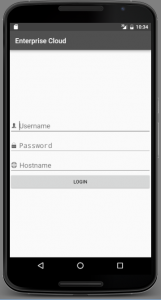 The app will automatically connect on port 9440. Since this is a 1.0 release, any feedback is greatly appreciated. Send me a quick note via the contact form with any feedback, criticism, ideas, or comments. Also feel free to comment below the related posts block, and feel free to share using the twitter button below.